STEP 5B. Decide on an Ideal Estradiol Level for Erectile Function and Libido. According to this philosophy, going either too high or too low can lead to a lower libido and decreased erectile strength. And these proponents insist that guys usually feel better in this range. Where does this theory come from? That's a good question as there are very few studies of estradiol on men. We can conclude that the above range grew out of practical clinical experience and the fact that these are youthful estradiol levels, something I document on this page: Normal Estradiol Levels in Men. Furthermore, if you read through that link, you will see that actually the research shows that male estradiol levels stay pretty flat through one's younger, middle and senior age years, i.e. there does not appear to be a andropause-like dramatic drop off in levels as is so common with testosterone. However, there are naysayers out there. First of all, many physicians have absolutely no idea that estradiol can effect men. Basically, they look to see if your estradiol is out of the lab's range and, if so, send you to an endocrinologist and wash their hands of the whole affair. And there is some evidence that certain subpopulations, such as HIV+ men, may need higher levels of estradiol. There are even other physicians that actually believe that high estradiol is good for men. Now where they got this idea, I do not know. Research has shown that high estradiol is associated with Arterial Plaque and likely Prostate Cancer and BPH (Enlarged Prostate). In addition, there are a host of well-accepted and somewhat dabilitating symptoms and side effects of high estradiol levels, such as bloating, water retention, moodiness and lowered libido that make high estradiol all the more controversial. So where did some doctors get the idea that high estradiol levels are good for men? I suspect that it came out of a landmark study that examined carefully the testosterone levels of men who went on a testosterone-lowering medication and then were divided into two groups. One group (cohort 1) had no aromatase inhibitor and the second group (cohort 2) had a very high dose of an aromatase inhibitor. Each cohort was further divided into groups given 0, 1.25, 2.5, 5.0, or 10 mg of testosterone gel. What was the purpose of creating so many groups and subgroups? Basically, the researchers were subdividing men into mini-groups with widely varying testosterone and estradiol levels. They then could compare the man's erectile strength and libido before the study to after the study and try to come up with some conclusions. One thing that may not be obvious is that the men on the high dose of aromatase inhibitors had abysmally low estradiol levels between 1 and 2 pg/ml. This is, of course, an order of magnitude below the youthful levels mentioned above and can lead to osteoporosis and other chronic disease conditions. 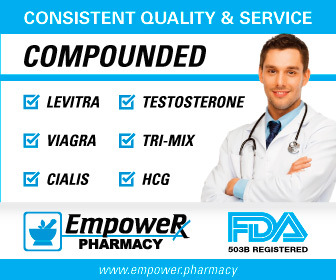 Furthermore, for every dosage of testosterone from 0-10 mg, the ultralow estradiol levels from the aromatase inhibitor (AI) lead to worse libido and erectile strength outcomes. Thus, one could come to the conclusion that low estradiol is bad and higher levels are always good, right? Wrong! The only thing that this tells you is that having an estradiol deficiency will almost always give a man decreased libido and increased erectile dysfunction. Clearly, these ideal estradiol levels do not contradict the above 20-30 pg/ml rule given above: 18.2 pg/ml is only 9% below the bottom of the range and 33.5 pg/ml is only 11.7% above the top of the range. And I do not think that anyone would call 33.5 pg/ml "high estradiol." The bottom line is that even this study argues strongly that youthful levels of testosterone and estradiol lead to optimal libido and erectile strength. Using the results of this study to arrive at any other conclusion is a real stretch in my opinion. In addition, discuss any desired protocol changes with your doctor first. Your specific medical situation may require some type of different strategy. 1) NEJM, 2013; 369:1011-102, "Gonadal Steroids and Body Composition, Strength, and Sexual Function in Men"
3) Osteoporos Int, 2015 Oct 28, "Serum total estradiol, but not testosterone is associated with reduced bone mineral density (BMD) in HIV-infected men: a cross-sectional, observational study"